SEASIDE PARK – What started with an idea to plant a tree commemorating the decade milestone since the September 11th, 2001 terrorist attacks has, in three years, culminated into a thriving borough committee. They, in turn, produced a dozen such civic-minded improvements – including an attractive town clock at Marina Lawn – and fundraising events that reached a high point this month. The Seaside Park Beautification Committee – a ten-woman-strong community organizing powerhouse – several weeks ago celebrated a sweeping victory that hearkened back to their start: they succeeded in fundraising the full amount of the town clock, a cost of $25,500, in 36 months flat. “The group did a great job and we’re very proud of that clock and the whole display there,” said Mayor Robert W. Matthies at the late August council meeting, when committee member Denise Koury submitted the final payment on behalf of the group. 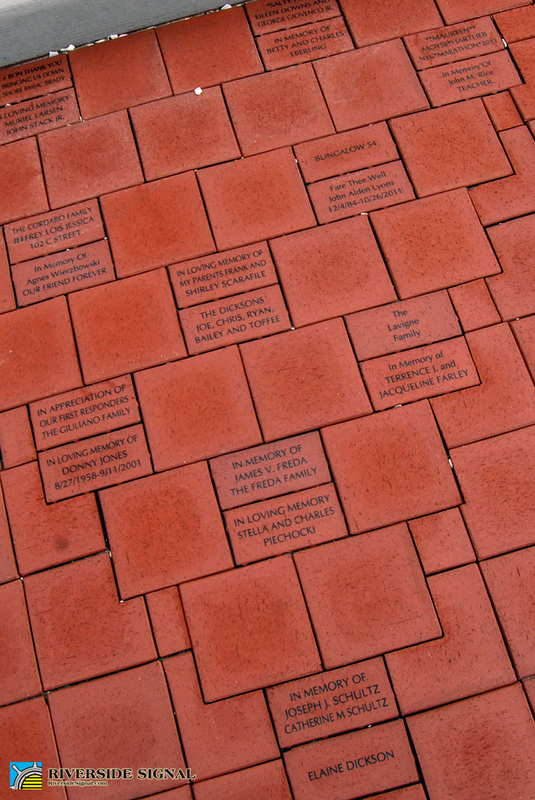 “It’s really the community who supported everything we did, from shirts to mugs to bricks to the original donations,” she replied. “It’s a beautiful memorial,” added Council President Michael Tierney. 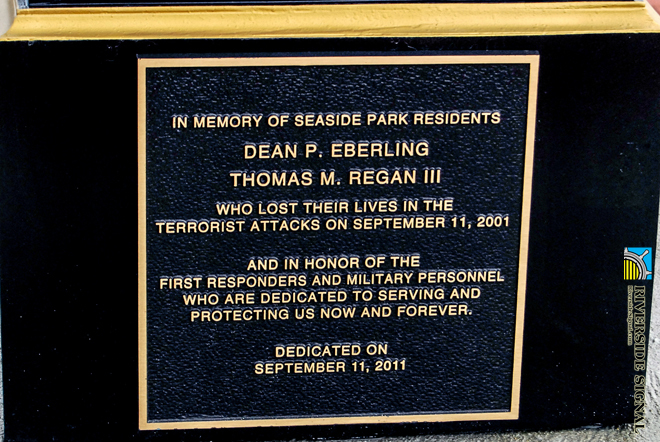 The clock area includes memorial pavers sold to residents and interested visitors and a plaque commemorating the lives of borough residents Dean P. Eberling and Thomas M. Regan III, who were lost in the attack of the towers. In the committee’s first meeting, she continued, the tree idea was fast changed out to that of the memorial clock, with the borough acting as purchaser so it would be installed by September 11th, 2011, and the committee fundraising for the cost plus settling on a proper location, the installation of electricity and continued beautification. 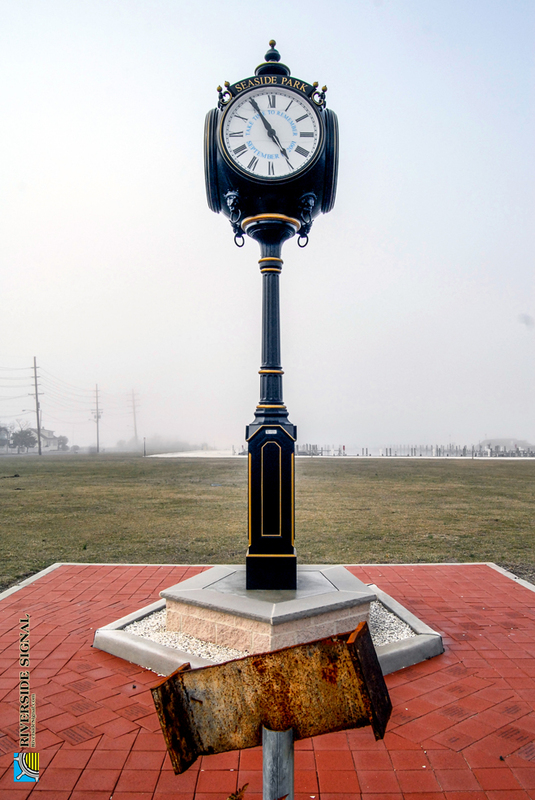 A little over a year after the clock was installed, Hurricane Sandy struck the shore and impacted Seaside Park with flooding and damage to its ocean and bayfronts. “The tree is the focal point of our borough Christmas celebration, and as we could not be home for Christmas 2012, we were going to make sure that Christmas 2013 was better and brighter,” she explained, thanking committee member Sue Masoorli for heading that project, which cost a total of $4,500. Ms. Masoorli in turn reached out to Jersey Shore Landscaping and its owner, Tom Ross, who completed the project – which was expanded to include planting two trees – in time for last year’s Memorial Day service. “Those trees were dedicated [at the service] to the memory of Maj. George Pollin, who died in Vietnam, and Sgt. John A. Lyons, who was killed in Afghanistan,” continued Ms. Koury. Maj. Pollin’s sister and Sgt. Lyons’ mother were present for the commemoration. Fundraising for the clock and further projects have included offering a miniature replica of the clock with their name on it for donations of $500 plus events as a 1950s dance, bake sale, now-annual Kentucky Derby party at the Windjammer Motor Lodge, an ice cream social at the Sundae Times, and the sale of t-shirts and mugs. 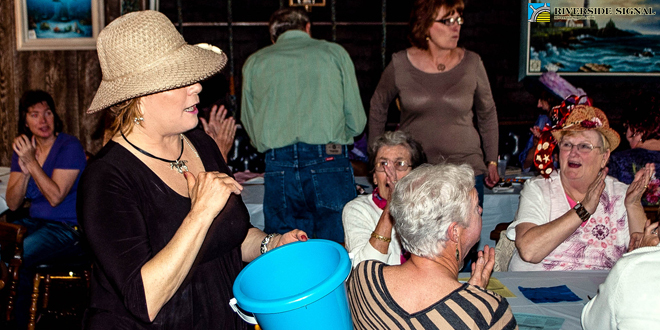 To date, a total of $32,000 have been raised from the community. 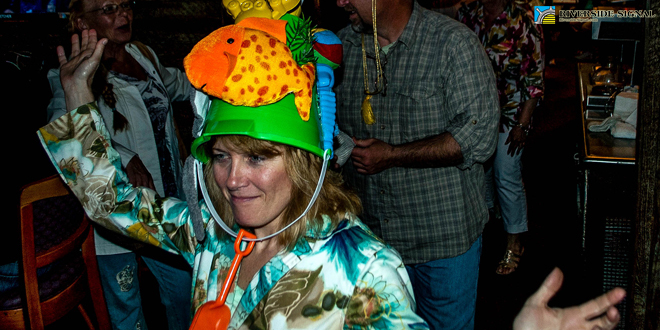 The inaugural Kentucky Derby fundraiser party, in 2013. Ms. Koury again thanked the community on behalf of the group for everything they have been able to do thus far. Next up on the committee’s agenda is a partnership with the borough environmental committee for the 14th Avenue bayside recreation area. 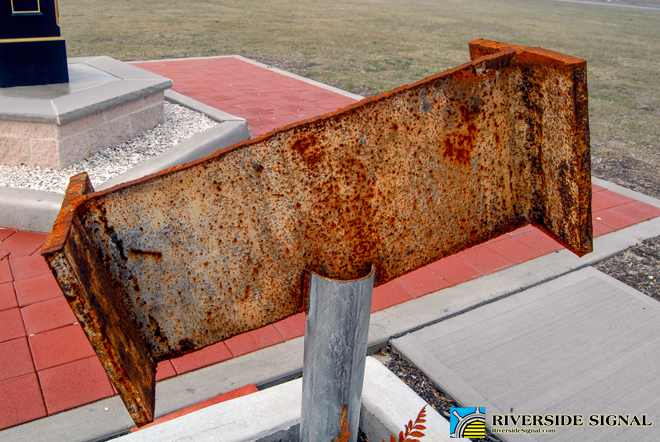 “The environmental committee has the ability to utilize grant applications and the beautification committee has the ability to provide volunteers and community support to help its maintenance,” she added. Those interested in joining the committee are welcome. Meetings are the second Tuesday of each month at 5:30 pm in the borough hall Senior Room unless events dictate otherwise. Seaside Park Beautification Committee can also be found online at http://www.sspbeautification.com for more information. Today the committee membership includes Denise Koury, Bonnie Matthies, Sue Masoorl, Judy Stefanik, Elaine Dickson, Maureen O’Haire, Gail Coleman, Maggi Husar, Carol Ottoson and Shari Gentile.